Full disclosure: I deeply, truly enjoy seeing photos of my friends’ children on social media and relish any opportunity to celebrate their milestones. But I don’t understand today’s back-to-school photos because I honestly don’t understand how school works. And I have a child who is not too far away from school age. Are pre-K and pre-school the same thing? How come I’ve seen two children holding “First Day of Pre-School!” signs and one is in diapers, barely able to stand, and one looks ten? Are kids going to school much younger these days? What is in their backpacks? Other backpacks? Is the child going full-time or is this one of those schools that only last a few hours a week and the parent has to be in the room with him? If it’s one of those parent-must-be-present deals, can the parents just zone out on their phones while the teachers do the stuff? Hmm. That one didn’t work. Is the “G” capitalized? OK, got it. Who changes their diapers at school? Their 10-year-old classmates? 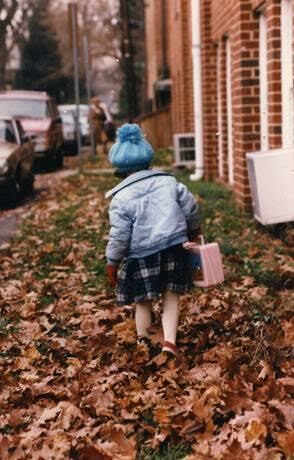 Also, September looked like THIS in 1985. I keep checking your site hoping for more 🙂 love your writing and humor!!! ps i can’t wait what to hear what you have to say about potty training! Thank you so much, Erika! More to come this week!